Terminalia catappa growing tree of the genus Terminalia also known as Sea almond or Indian almond, Terminalia catappa perennial evergreen or dry deciduous plant edible fruit and nut also used as ornamental plant or medical, can grow in tropic climate and growing in hardiness zone 12+. 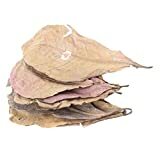 Leaves color green and can be red in the dry season in ovate shape. Flower color white small in star shape, flowers grow in inflorescence. Fruit edible color green to red in ovate shape. Nut edible color brown in elliptic shape. 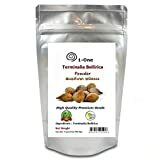 Terminalia Bellirica Powder Beleric Myrobalan Behere Thai Herb 1 KG/35.27oz. 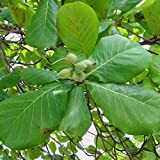 What can be done with big quantities of Terminalia catappa nuts & fruits? How long does it take to bear nuts & fruits?